Bored of old and formal PowerPoint presentation templates? So why not try the brand new and charming powerpoint presentation templates? If you want to turn your powerpoint presentations into something interesting and eye-catching the search for the templates iSlide offers. Check out the list of 5 best PowerPoint presentation templates 2019 and choose the one that suits your presentation most. Business templates are one of the top selling and utilized powerpoint presentation templates. With over 100 amazing slides and lots of color options, this template helps you make your content look simple, creative and elegant to make up a cool presentation for your audience. The best option to design business presentations. The powerpoint timeline template has been intended for specialists who want to design a quick timeline or sequenced introduction of their work to attract the audience. 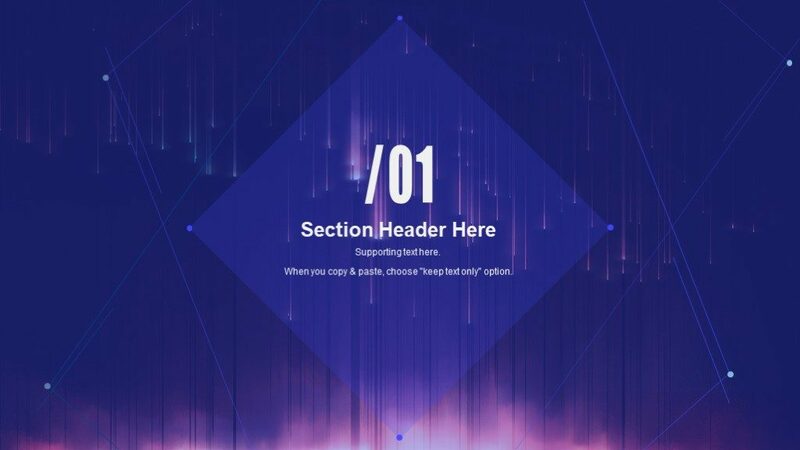 These templates allow you to design an outstanding introduction presentation. iSlide offer thousands of IT-related powerpoint presentation templates. IT-based templates are eye-catchy and professional to allow you to design a well-managed PowerPoint presentation. Design any financial or technology related presentation using these templates. Infographics are a great way to attract the audiences’ attention through the visual representation of the data. iSlide offers a variety of infographics template that enables you to make an effective and attractive report using the best powerpoint presentation templates. Attractive visual representation is a basic need in the world of real estate in the event that you have to persuade somebody to purchase or lease a property. The initial step for a land operator at that point is to exhibit it to their customers that why the specific property is best for them. iSlide has a simple, helpful and a convenient approach to get these tasks done through iSlide add-in real estate powerpoint presentation templates. Christmas is around the corner and attractive PPT templates are definitely in demand in the western world. You may need to design attractive and festive presentations for parties, meetings or any other occasion. Don’t worry! iSlide offers a range of Christmas powerpoint presentation template. What’s more, it is absolutely free. So, don’t waste your time finding the powerpoint presentation templates. Download the iSlide add-in and surf the thousands of PPT templates you want. Make your presentations smarter and convenient with these and much other amazing powerpoint presentation templates, we bring to you.